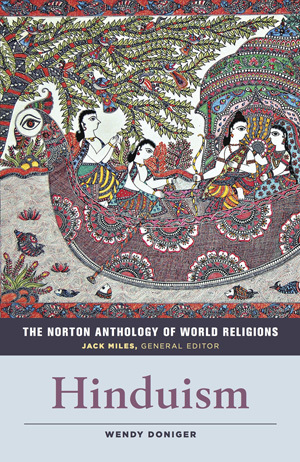 The Norton Anthology of World Religions - Description | W. W. Norton & Company Ltd. This magisterial Norton Anthology, edited by world-renowned scholars, offers a portable library of more than 1,000 primary texts from the world’s major religions. To help readers encounter strikingly unfamiliar texts with pleasure; accessible introductions, headnotes, annotations, pronouncing glossaries, maps, illustrations and chronologies are provided. 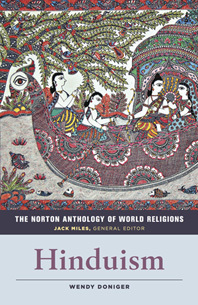 For readers of any religion or none, The Norton Anthology of World Religions opens new worlds that, as Miles writes, invite us "to see others with a measure of openness, empathy, and good will..."
Unprecedented in scope and approach, The Norton Anthology of World Religions: Hinduism brings together over 300 texts from 1500 B.C.E. to the present, organised chronologically and by region. The volume features Jack Miles’s illuminating General Introduction—“How the West Learned to Compare Religions”—as well as Wendy Doniger’s “The Zen Diagram of Hinduism,” a lively primer on the history of Hinduism in relation to geography, language, gender, sexuality, class, folk traditions and the politics of empire.